It feels like I’ve been away for a while, in more ways than one. I was actually out of town last weekend, for a women’s retreat with my church….but I think I’ve been mentally checked out since I went back to work on August 1st. My job tends to consume me for a month or two when a new school year starts. I have managed to eke out a couple of blogs in that time, but I just realized today that it’s been two weeks since my last post! That just won’t do. I remembered, though, that I had a couple of picture folders ready to go…so here’s my favorite french fry recipe! 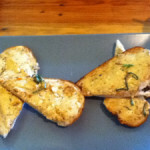 If you are a regular reader, you may remember the recipe that I posted back in the spring for microwaved potato chips. That recipe was created by my favorite low-fat chef, Devin Alexander, and was featured in her book I Can’t Believe It’s Not Fattening. I have all of Chef Devin’s book, including the first one-and probably my favorite-Fast Food Fix. In Fast Food Fix, Devin breaks down lots of popular fast food recipes and makes them healthy and low-fat. Sold! I’ve been making tacos, fast food style burgers (Big Mac clone, anyone? ), and fantastic fries from that book for five years. This recipe is an adaptation from the fry recipes that she presents in that book. It doesn’t follow any of the recipes 100%, but it uses her techniques for getting perfect, crispy baked fries. If you’re like I was five years ago when I first got this book, you have tried and tried to make healthy, baked fries….but always come up short. I promise that if you use this recipe, you won’t be disappointed! By the way, I use my Pampered Chef large bar pan for this application….but if you don’t have one just preheat a baking sheet. It will take a little bit longer but the end result will be just as good! Preheat oven to 450 degrees. Place stoneware bar pan or large baking sheet in oven to preheat. Place the 3 quarts of water in a medium pot and place on stove over medium-high to high heat. Scrub potatoes. Cut into fries. I cut my potatoes into 5 or 6 slices then stack the slices and cut each slice into 5 or 6 planks; you can adjust the size of your cuts to fit your desired fry shapes. Place the potatoes in a bowl of cold water until the water has come to a boil. Put the salt in the water and place the potatoes in the boiling water with a slotted spoon and discard the starchy water. 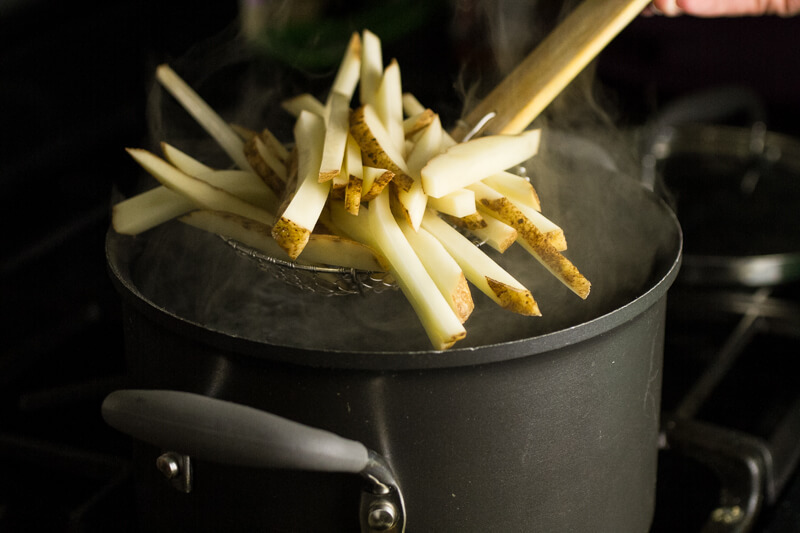 Boil the fries for three minutes then drain, shaking in the colander to remove excess water. Allow to sit for five minutes in the colander, giving an occasional shake. 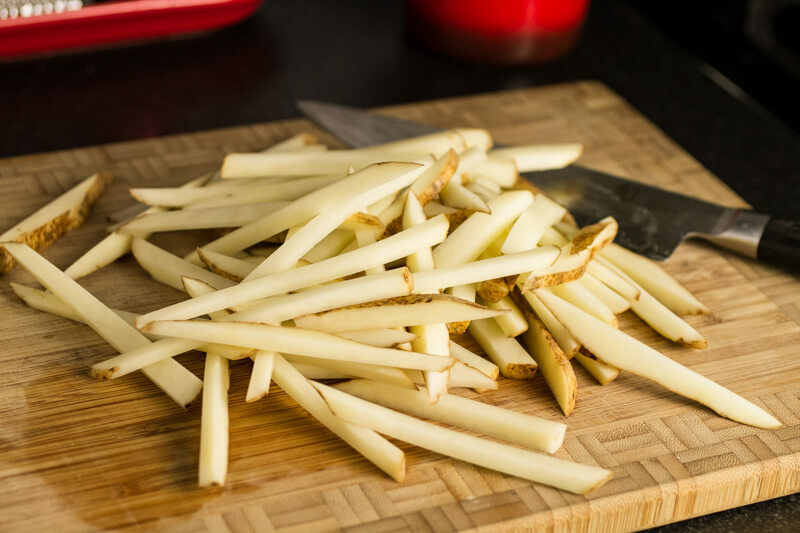 After the fries have "rested" and the oven has preheated, you can either place the fries in a dry bowl and toss with the teaspoon of olive oil or place them on the baking sheet/bar pan and spray with olive oil spray. Sprinkle with salt. Spread out on the pan. Bake for 20-25 minutes, stirring every five minutes. 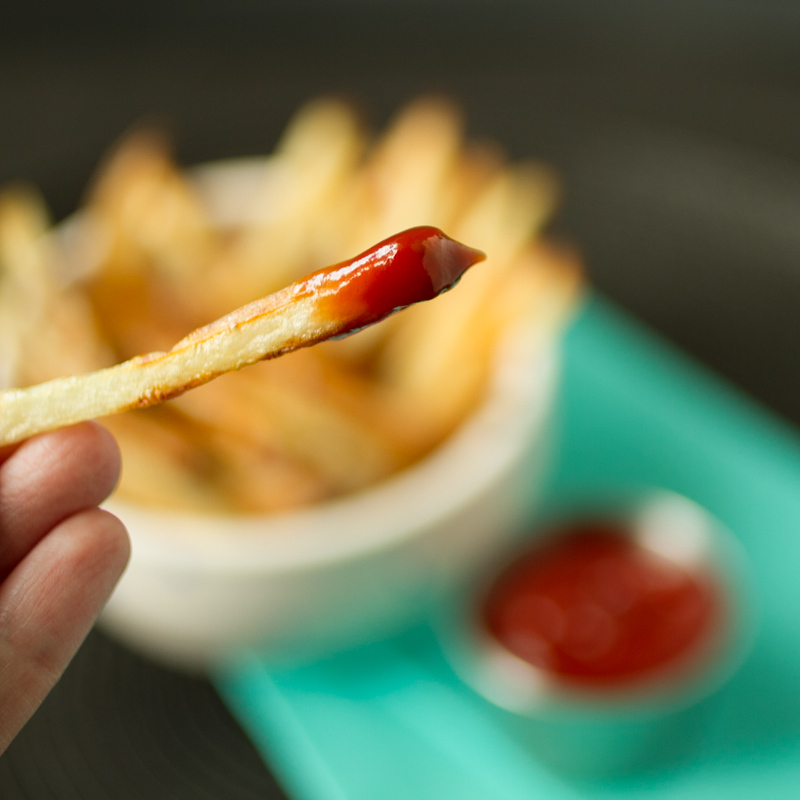 When the fries have reached desired brownness, remove from oven and serve immediately. Click here to print the recipe for baked fries! Whole Wheat Potato Rolls-and My First Video! I use mine a ton. I oiled it diligently until it turned black....and I bake bread on it. I know it may sound crazy, but that really seems to be the key! Plus I preheat it before I actually put the food on it, and that really seemed to make a difference. I love to bake my fries! I'm definitely going to try these. Thank you.